New Horizons is about 0.15 astronomical units from Jupiter now, and already 5.5 AU from the Sun! Our final imaging and spectroscopy observations of Jupiter system targets wrapped up last week. Henceforth, the only Jupiter system observations New Horizons will make are magnetotail environment measurements using our PEPSSI and SWAP charged-particle spectrometers and, beginning in April, interplanetary dust measurements by Venetia, our Student Dust Counter. 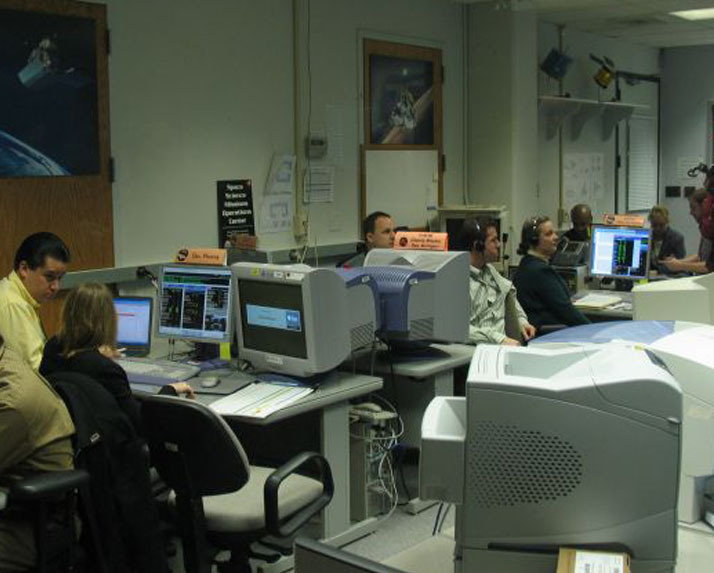 On March 7, the spacecraft began downlinking its storehouse of 36-plus gigabits of Jupiter data. From now though May, we expect to receive 6 to 8 hours of Deep Space Network time, virtually every day, for this data playback. Already a variety of Alice ultraviolet and Ralph infrared spectra, as well as LORRI images of Jupiter, its tenuous ring system and of its moon Io, have been sent to the ground. Every week, for the next 8 to 10 weeks, you can expect to see one or more image releases at our mission Web site. Mission operators at the Johns Hopkins University Applied Physics Laboratory in Laurel, Md., prepare for contact with New Horizons following the Jupiter flyby on Feb. 28. Operations now involve downlinking several gigabits of science data from the Jupiter encounter. 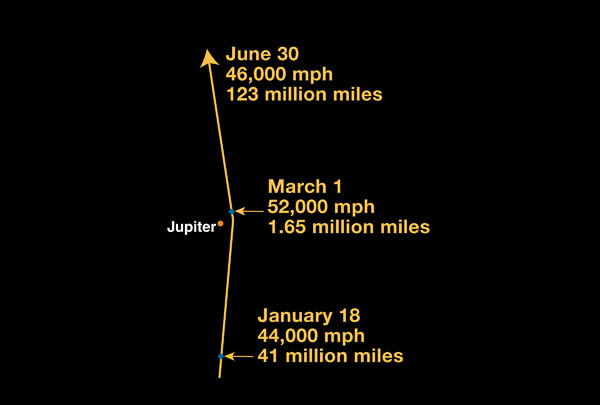 The next big event on the spacecraft occurs March 21, when we fire our maneuvering jets to spin the spacecraft up like a top, stably rotating it at 5 RPM to save fuel now that the pointing operations associated with the Jupiter flyby are complete. This is how we flew most of the cruise to Jupiter, and it's also the way we'll fly most of the way to Pluto. Although I won't be writing weekly blogs now that Jupiter is well behind us, you can look forward to a late-April or early-May press conference to show off some of the most exciting data we've received. Meanwhile, keep on exploring, as we do!